My hope is to be able to get true airspeed out of the probe, since that only requires adding one more pressure sensor and the temperature sensor. Might as well. The pressure sensors have an I2C interface. The temperature sensors are analog. The plan is to read these out by an Arduino, using the built-in I2C interface for the pressure sensors and the built-in 12-bit ADC for the temperature. The resulting data sentences will be sent out over an XBee radio to the display unit. I got myself an Arduino starter pack from Adafruit. 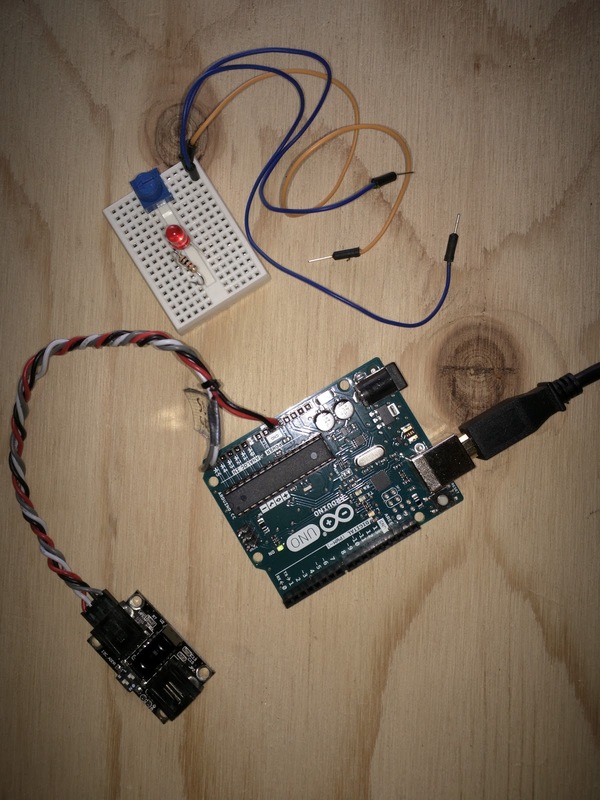 Today, I convinced myself I can get my Arduino to read analog and I2C bus values from a potentiometer and a proximity sensor, respectively. Next is to send in a quote for the sensors (it's complicated since you have to encode your desired I2C addresses in the part numbers...).